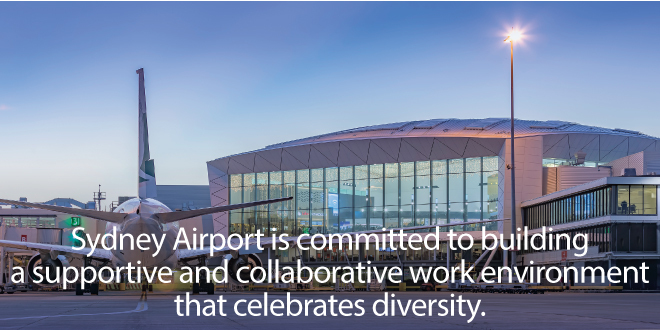 As Australia’s primary gateway, connecting to more than 90 destinations around the world, Sydney Airport recognises its people are fundamental to its continuing success and is, accordingly, committed to building and maintaining a supportive and collaborative work environment Tweet This! that celebrates diversity and recognises the value of differing ideas and perspectives. This case study is based on the 2017 Sustainability Report by Sydney Airport published on the Global Reporting Initiative Sustainability Disclosure Database that can be found at this link. 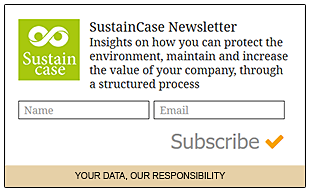 Through all case studies we aim to demonstrate what CSR/ ESG/ sustainability reporting done responsibly means. Essentially, it means: a) identifying a company’s most important impacts on the environment, economy and society, and b) measuring, managing and changing. In its 2017 Sustainability Report Sydney Airport identified a range of material issues, such as access to and from the airport, customer privacy, cyber security, community engagement and investment, environmental management, sustainable procurement. Among these, promoting workplace diversity and inclusion stands out as a key material issue for Sydney Airport. What actions were taken by Sydney Airport to promote workplace diversity and inclusion? Access to technology that allows employees to work remotely across the airport and at home, as appropriate. Sydney Airport also has a policy to support employees experiencing domestic and family violence, offering them access to additional leave to manage legal matters, moving house or other associated appointments without using annual leave. As a signatory of the Australian Institute of Company Directors “30% club”, Sydney Airport has set a goal of 30% female representation for its Board and management, and continues to work to increase female representation both in terms of overall staff numbers and within its Generation Y population. In 2017, Sydney Airport’s female representation increased 1.5% to 37.9%, with female managers accounting for 38.9% of all managers. To further support gender diversity, 50% of new recruits during the year were female. Committed to recruiting and retaining a culturally diverse workforce, Sydney Airport established, in 2016, its baseline ethnicity dataset, to better understand the cultural diversity of its workforce. Sydney Airport’s staff speak 35 languages, and have a collective 34 countries of origin. Celebrating this diversity and promoting a better understanding of different cultures, Sydney Airport organises events such as Harmony Day, where employees come together to share dishes from a range of cultures. Sydney Airport has a partnership with the CareerTrackers Indigenous Internship Programme, an organisation providing internship opportunities for Indigenous university students. Accordingly, in 2017 Sydney Airport hosted its second intern, who worked with its People and Performance team. Sydney Airport also supports the Clontarf Foundation, a not-for-profit organisation established to help Indigenous boys complete high school. Note to Sydney Airport: With each case study we send out an email requesting a comment on this case study. If you have not received such an email please contact us.